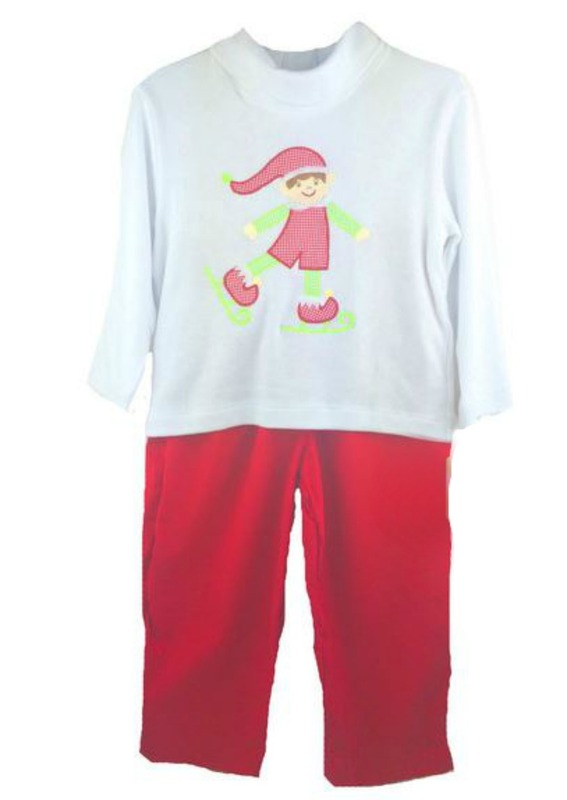 Elf applique long sleeved white knit top and coordinating fine wale red corduroy pants are perfect for the Christmas Holidays. Pants have elastic waist and are pullon style. Fine quality by Petit Ami. Machine wash.